The minister's life is punctuated by unscheduled emergencies in the lives of church members and other acquaintances. Here is a resource to help deal with those occurrences seamlessly. Nelson's Ministers Manuel KJV Imitation Leather by Thomas Nelson was published by Thomas Nelson in October 2007 and is our 24698th best seller. 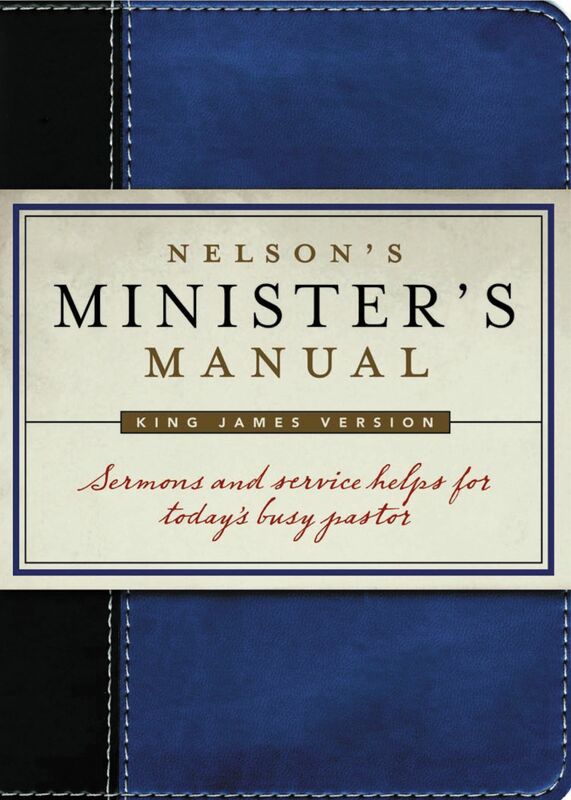 The ISBN for Nelson's Ministers Manuel KJV Imitation Leather is 9781418527761. Be the first to review Nelson's Ministers Manuel KJV Imitation Leather! Got a question? No problem! 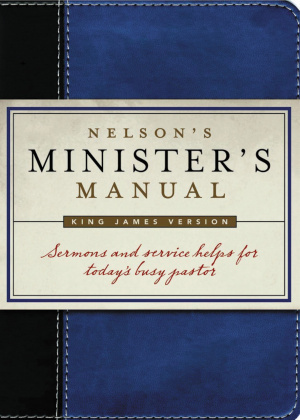 Just click here to ask us about Nelson's Ministers Manuel KJV Imitation Leather. Does this Manual have Holy Communion formats? A:Yes, The Minister's Manual includes 'Lord's Supper/Communion' service formats. Does this Bible contain material for Dedication services please? A:Yes, it contains 8 pages of Dedication service material.